H: 6 ft. 2 in. x W: 4 ft. 4 in. x D: 4 ft. 4 in. 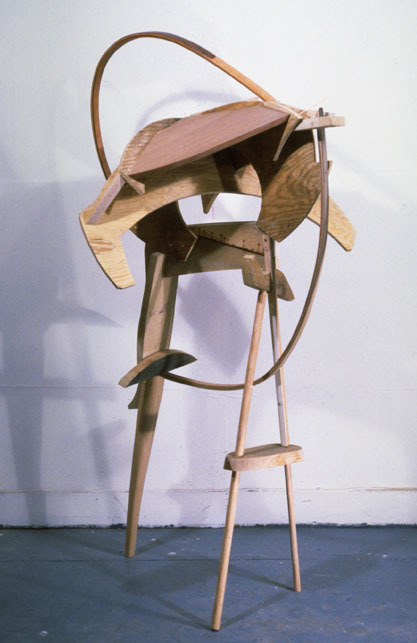 A fabricated standing sculpture of laminated wood. A number of works were made at this time exploring the “raising” of an open structure and incorporating the support into the body of the work.